The children from the Parish receive this Sacrament during a special Mass held once a year. Children are prepared through a special programme within their school throughout the year. 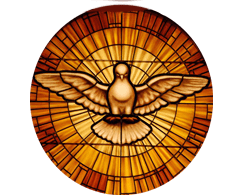 The start of this preparation is marked by an Enrolment Ceremony in the Parish, when the candidates receive a certificate and are promised the support of their community as they prepare to receive the Holy Spirit in the Sacrament of Confirmation.